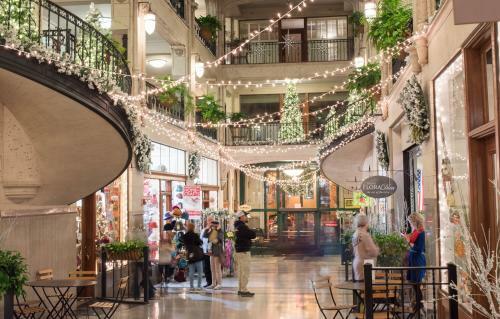 Discover why Asheville has been named one of the "Most Festive Cities in America" during the holidays as several favorite local traditions begin this weekend! 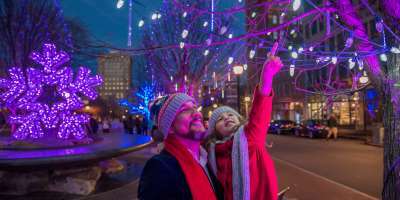 Bring the kids to enjoy the opening weekend of twinkling light displays, listen to symphony chorus carolers and watch a holiday parade march through the streets of downtown. 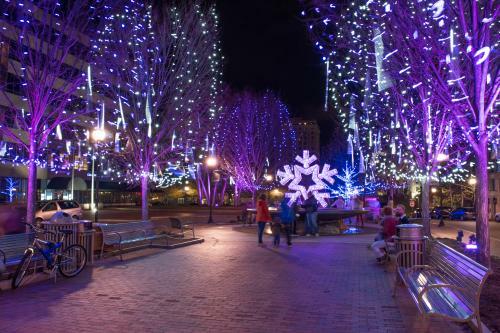 For a look at Asheville&apos;s many holiday celebrations this season, explore our guide to 8 ways Asheville sparkles for the holidays! Special Sneak Peek: One of Asheville’s grandest displays of Christmas décor is currently on display at Biltmore. 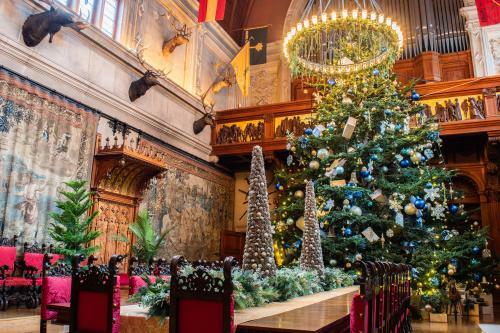 Check out our Christmas at Biltmore photo tour for a preview of this year’s decorations, and learn how you can experience this enchanting tradition for yourself. Special Holiday Offer: We’re less than two weeks away from when the entries in The National Gingerbread Competition go on public display at The Omni Grove Park Inn. Take your experience to the next level by booking the Gingerbread Holiday Package (available beginning this Sunday). Don&apos;t miss your chance to experience this unique and festive time of year! 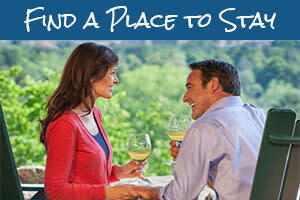 Use our easy-to-use search feature to check room availability and rates at Asheville area accommodations, and check events for any date by using our online events calendar search. Saturday (Nov. 17), 11 a.m. to 1 p.m.
Asheville welcomes the holidays with a spirited parade through downtown! You’ll see nearly 100 bands, dance troupes, cheer squads, and festive floats. This year’s theme is Appalachian Holiday. Groups in the parade pause to perform at the intersection of Biltmore Ave. and Patton Ave. Be sure to get there early to secure your spot! And, be on the lookout for Santa who will be taking pictures with families in Pack Square. Saturday (Nov. 17), 6 p.m.
Be among the first to see Asheville’s downtown Local Lights display when the lights turn on Saturday at 6 p.m. The lights display will feature the beloved “Starflake.” Photos with Santa begin at 5 p.m. in Pack Square. The free, family-friendly event includes hot chocolate from French Broad Chocolate Lounge and carols with the Asheville Gay Men&apos;s Chorus. The downtown Local Lights display will remain up throughout the winter season. One of Asheville’s newest and brightest holiday traditions kicks off this weekend at the North Carolina Arboretum. 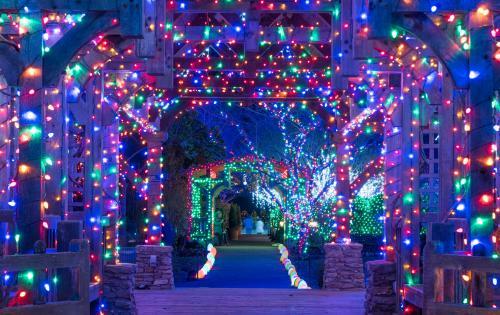 More than half a million lights will be on display as part of this self-guided walking tour through the nationally-recognized gardens. Transportation from downtown and Biltmore Village is available every Thursday through Saturday with a special trolley ticket. Friday (Nov. 16), 5 p.m. to 8 p.m.
Saturday (Nov. 17), 10 a.m. to 3 p.m.
Friday (Nov. 16), 12 p.m. to 7 p.m. This first time event will feature art, performances, and exhibits at Owen Hall on the University of North Carolina Asheville (UNCA) campus. At 4 p.m. the holiday arts sale begins. This is your opportunity to purchase prints, paintings, glass, sculptures, and more – all crafted by students. 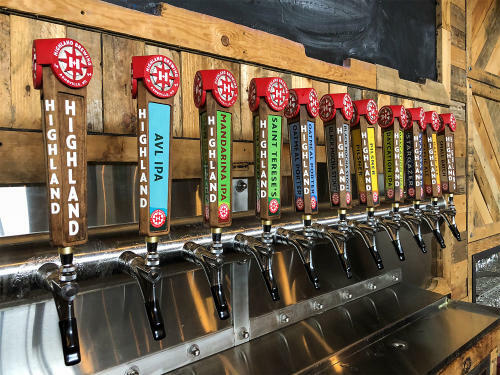 Highland Brewing Company has released its popular Cold Mountain Winter Ale. This weekend, more special beer releases are on tap, along with a number of beer-focused events. Saturday (Nov. 17), 12 p.m. to 5 p.m. If you love dark heady stouts, then this weekend’s festival at the Hi-Wire Big Top is your new happy place. This event is one part beer festival and one part blind tasting. You&apos;ll be able to vote for yourtop two favorite stouts. They&apos;ll announce the winner at 3:30 p.m. Tickets are $10. Saturday (Nov. 17), 12 p.m. to 6 p.m.
For the second year in a row, Ginger’s Revenge will launch its seasonal, limited edition Appalachian Ginger brew. This alcoholic ginger beer is made using 100% locally grown ginger, with ingredients sourced within 25 miles of Asheville. This special release coincides with a special event featuring local artists, crafts, and wellness products. Saturday (Nov. 17), 11 a.m. to 11 p.m. Fans of sour beers take note – Bhramari Brewing Company is releasing the "Oh Nooooo! Fruit Punch Sour" in limited quantity on draft this weekend. Bhramari will also release its "Wiffle Ball Pils," making its debut in 12oz cans. The brew is also available on draft. 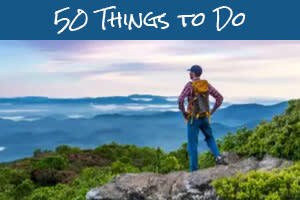 Asheville’s music scene has played host to the world’s most talented musicians and local legends. This weekend is no different. There are dozens of live music shows this weekend alone. See our live music calendar for a full list that you can search by date! Saturday (Nov. 17), 8 p.m. to 10 p.m.
Don’t miss a special evening with folk icon Peter Yarrow of Peter, Paul and Mary fame. Enjoy a musical journey that includes timeless songs from the past leading up to present day. Peter will share his hallmark messages of humanity and kindness. Saturday (Nov. 17), 8:30 p.m.
Concertgoers are in for a special treat this weekend as 5x Grammy-winner Roy “Futureman” Wooten of Bela Fleck & the Flecktones performs with electric violin phenom Tracy Silverman. 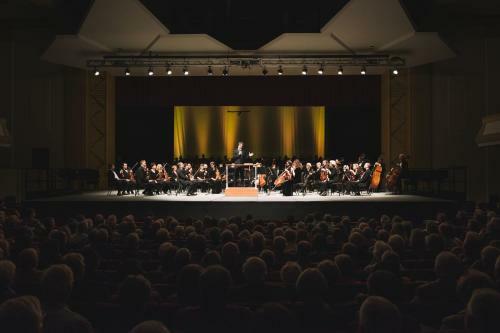 This concert will feature electric violin concertos, original compositions, and a few “derangements” of Hendrix, Beethoven, Bach, and Stevie Wonder. Saturday, (Nov. 17), 8 p.m. This concert is a celebration of American composers Bates, Ellington and Gershwin. 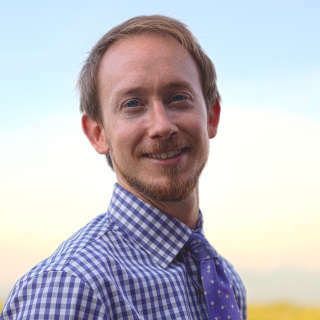 These three composers share the spirit of innovation, re-imagining what orchestral music can be through their own passions and experiences.